It is time to solve the perennial puzzle of the two most fashionable footwear styles for men - moccasins and loafers! As they say, you can always judge a man by his shoes. All the more reason for men to pay attention to what kind of shoes they're wearing. Back in the days when black leather shoes were the only option for men, things were so much easier to comprehend. But ever since shoe designers woke up to the male species, we've seen a lot more happening in the shoe market for men. Since the first rule to looking good wearing something is to know what you are wearing, it is time men start paying more attention to what they're stepping their feet in! Both moccasins and loafers have become increasingly popular in today's times. The problem is men don't know which is what and what to wear it with. The first step towards finding a solution is to understand what makes the two different from each other. The most basic and easy to spot difference between the two is that moccasins are the ones with laces and loafers are without them. But don't confuse the laces on a moccasin with the ones on a regular pair of shoes. These laces are primarily for decoration purposes and do nothing else apart from that. 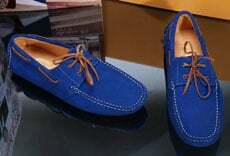 The other major difference between moccasins and loafers is that the former is always made of leather whereas the latter can be made in other materials such as suede as well. Loafers are also what you call slip-ons and are basically flat shoes. Moccasins on the other hand have a prominent sole just like any other leather shoe. 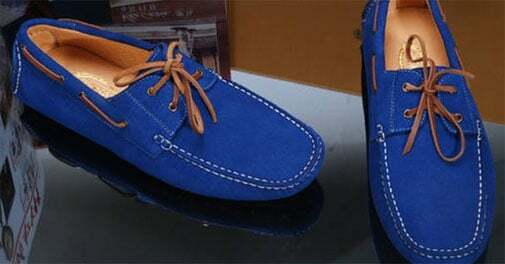 Moccasins are more semi-formal, if not completely formal in style when compared to loafers. Therefore they are best teamed with formal trousers and chinos for a classic Friday office look. They can even act as a smart alternative to your black leather shoes when heading out to a party or evening dinner. Go for a colour that suits your personality (blue, brown and maroon are instant hits!) and rest assured to have a lot of heads turn your way. 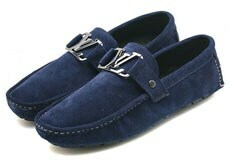 Loafers, on the other hand, are a more casual option and go well with denims, cargos, shorts and track pants. They come in all possible shades and styles and there is something for everyone to choose from. Indian men have been forever teaming their blue jeans with black leather shoes (which look awful by the way!) and loafers are just what they need to opt for! Plus they go with shirts and t-shirts alike!